Superhero comedy Shazam! earned $55 million in its opening weekend, landing in the first place of the weekend box office. The latest DCEU movie follows the origin story of the DC superhero Shazam aka Captain Marvel (no, the other one). 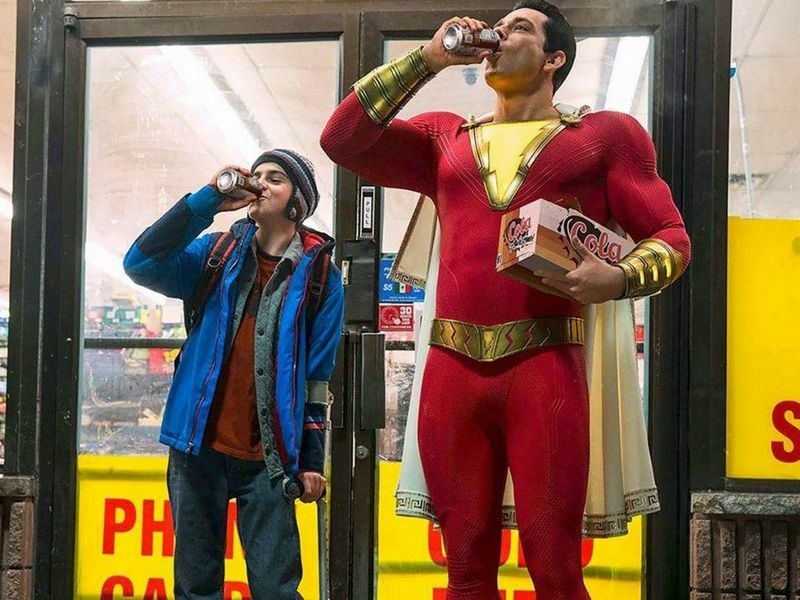 Shazam is played by Zachary Levi (TV shows Chuck and The Marvelous Mrs. Maisel), while his alter ego — 14-year old Billy Batson— is portrayed by Asher Angel (TV show Andi Mack). The cast also features Djimon Hounsou (Captain Marvel), John Glover (Gremlins 2: The New Batch) and Mark Strong (Sherlock Holmes). In the second place of the weekend box office is the remake of the 1989 horror movie Pet Sematary. Based on the 1983 novel by Stephen King, Pet Sematary earned $24,5 million in its first weekend in cinemas. In the third place is yet another remake: Disney’s live-action version of Dumbo. The uncanny valley elephant grossed $18,2 million in its second weekend. Jordan Peele’s horror movie Us is in fourth place with $13,8 million. Finally, in the fifth place is Captain Marvel with a bit over $12,4 million. 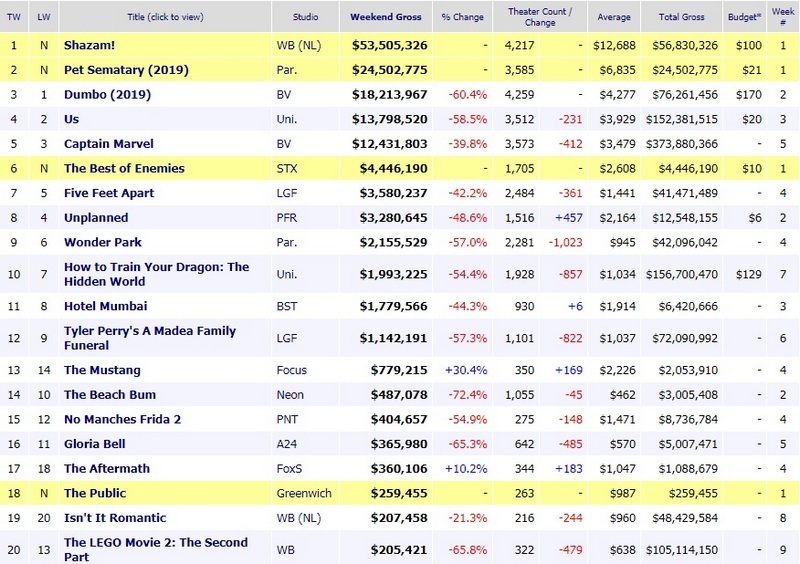 All of this data comes courtesy of the Box Office Mojo. Disney continues developing an even more impressive list of new shows for its upcoming streaming service Disney+. 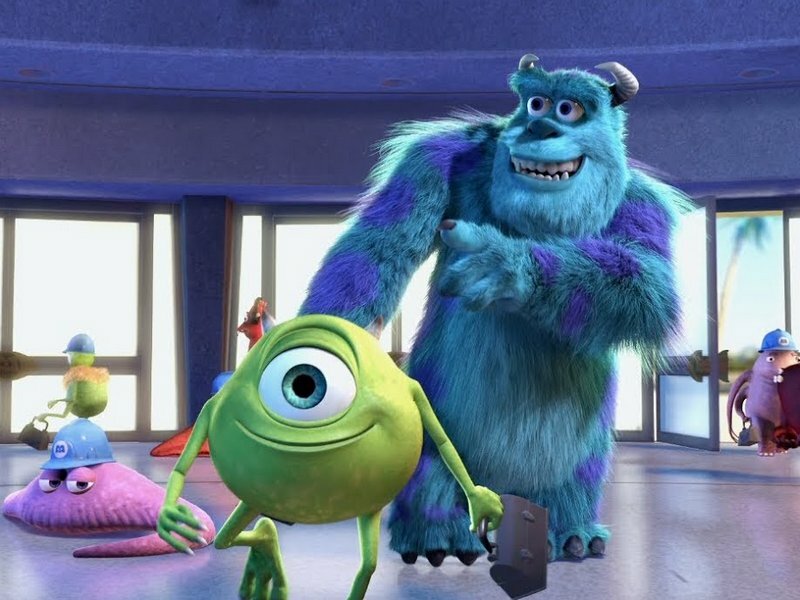 Alongside Star Wars live-action TV series The Mandalorian and at least two shows set in Marvel Cinematic Universe, Disney is also working on a spinoff to Pixar’s CGI-animated film Monsters Inc. titled Monsters At Work. According to an article by The Hollywood Reporter, actors Billy Crystal (When Harry Met Sally… ) and John Goodman (Roseanne) will once again voice the movie’s leading characters, monsters Sulley and Mike Wazowski. Actors John Ratzenberger (Cheers) and Jennifer Tilly (Bound) will also reprise their performances. They will be joined by new voice actors like Ben Feldman (Superstore), Lucas Neff (Raising Hope), Stephen Stanton (Star Wars Resistance), Kelly Marie Tran (Star Wars: The Last Jedi) and Aisha Tyler (Archer). First released in 2001, Monsters Inc. told a story about monsters whose job was to scare children. The movie was followed in 2013 by a surprisingly entertaining prequel Monsters University. Monsters At Work will premiere on Disney+ in 2020. 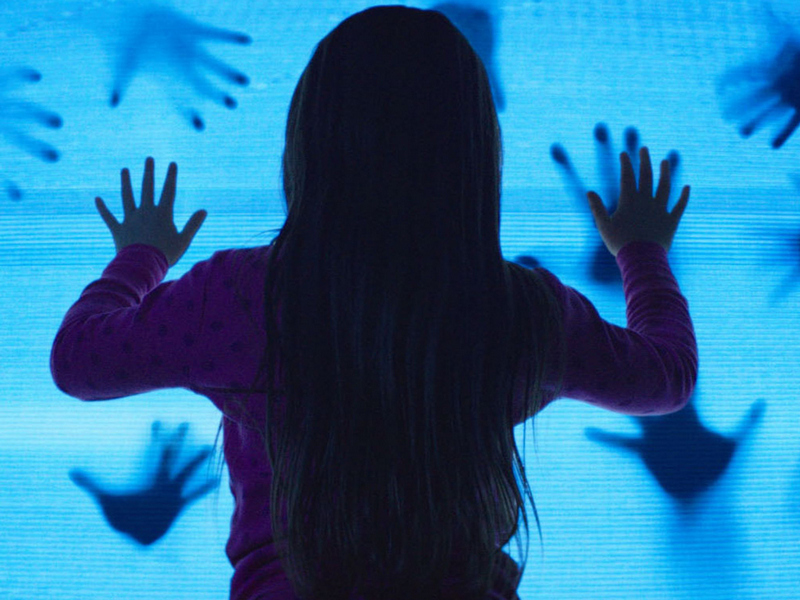 Poltergeist Remake Gets a Remake? Long ago, in the year 2015, Fox 2000 and MGM produced a remake of Poltergeist. Since no living soul remembers that old remake, the time has come for filmmakers Anthony and Joe Russo to remake this classic remake for the brand-new generation half a decade later. According to Bloody Disgusting, Russo brothers (Captain America: The Winter Soldier, Avengers: Infinity War) have been given carte blanche by the MGM studio to remake pretty much any title in its library. Among them: the Tobe Hooper/Steven Spielberg horror classic. Released in 1982, Poltergeist was a box office success featuring Craig T. Nelson (TV series Coach), JoBeth Williams (TV series The Client) and Zelda Rubinstein. It was followed by two sequels: Poltergeist II: The Other Side in 1986 and Poltergeist III in 1988, with Rubinstein being one of the rare actors to appear in all three films. In 2015, filmmaker Gil Kenan (Monster House, City of Ember) remade Poltergeist with Sam Rockwell (Iron Man 2), Rosemarie DeWitt (La La Land) and Jared Harris (TV shows Mad Men and Fringe) in main roles. The remake wasn’t enormously successful, grossing $100 million on a $35 million production budget and receiving mostly mixed reviews.